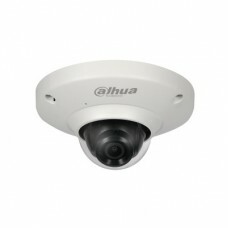 Dahua IPC-EB5531 5 Megapixel Panaromic Network Fisheye Camera has 1/2.7” 5 Megapixel progressive scan CMOS. In this camera triple-stream encoding is · H.265&H.264 . It saves bandwidth and storage ,energy-saving design to enhance the monitoring system and Micro SD memory, IP67, PoE also added. It provides excellent image quality and intelligent and efficient event reminders. This series provides IP67 waterproof protection feature. Give customers more value. The camera provides optional standard intelliegence at the edge allowing detection of multiple object behaviors such as abandoned or missing objects. In this camera IVS also supports Tripwire analytics, allowing the camera to detect when a pre-determined line has been crossed, ideal for business intelligence. The IP67 rating makes it suitable for demanding outdoor applications.With a temperature range of -30 °C to +60 °C (-22 °F to +140 °F), the camera is designed for extreme temperature environments.It include Smart Detection supported. This camera providing saving of up to 70% of bandwidth and storage when compared with standard H.265.